The best price for buying points comes when you buy 30,000 or more points in one transaction. For example, buying 60,000 points (120,000 total with bonus) costs US$600 which means each point will only cost you 0.5 cents. 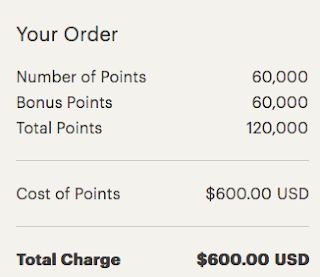 That's up to 24 nights at IHG hotels if redeeming via the PointBreaks 5,000 point level, 12 nights at 10,000 and 8 nights at the 15,000 point level. Even at that highest level it is like you are buying each night for only US$75.